Get now the Stone 4 Seasons unisex Winter and summer jacket in Soft Grey / Black / Dark Grey by On Board. The Stone 4 Seasons unisex On Board Winter and summer jacket is now available in acmotos in Soft Grey / Black / Dark Grey color. It's based on a uniquely manufactured NY-TEX fabric, made with high quality Nylon. It is very resistant to abrasion, light and has a nice touch. 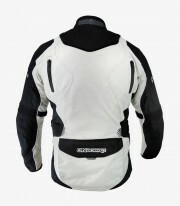 Includes The membrane DRY-B is waterproof and at the same time breathable and fulfills the function of a windbreaker. It's presented with two independent removable inner liners (1.thermal 100grs. / 1.100% waterproof-breathable). 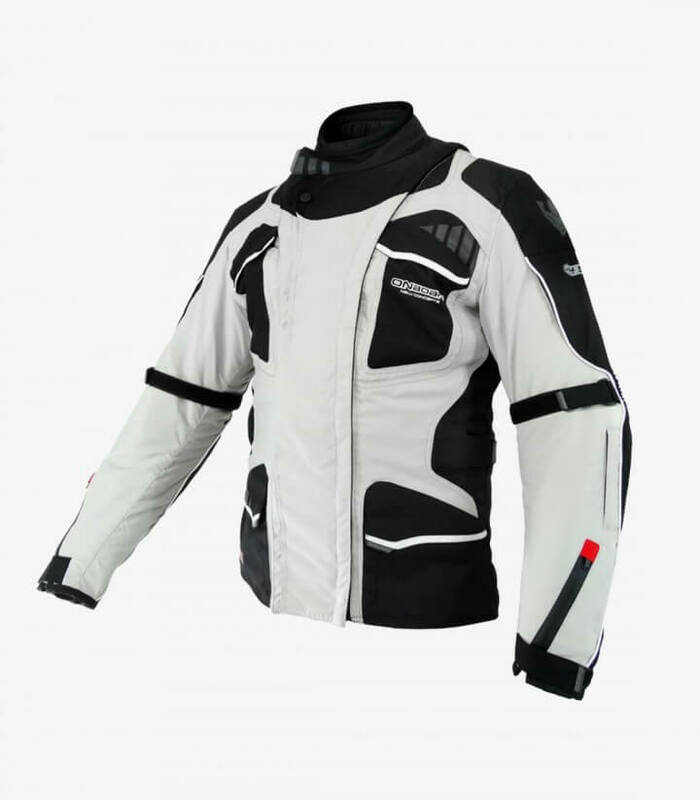 It has included the 4 seasons technology that is to say that it includes a removable and waterproofed frontal collar through the membrane DRY-B and its waterproof zippers. 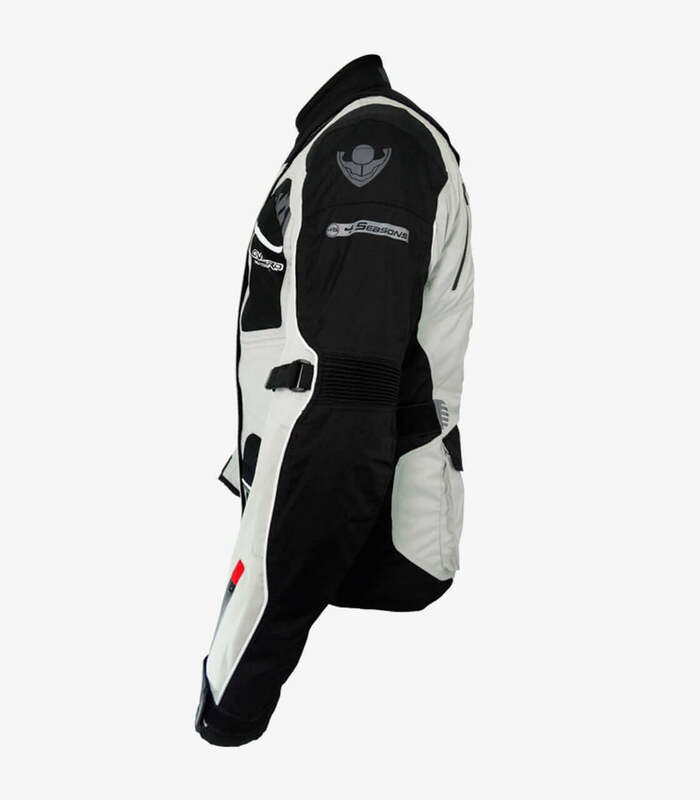 When disassembling it the jacket is more ventilated and open to be used any time of the year. 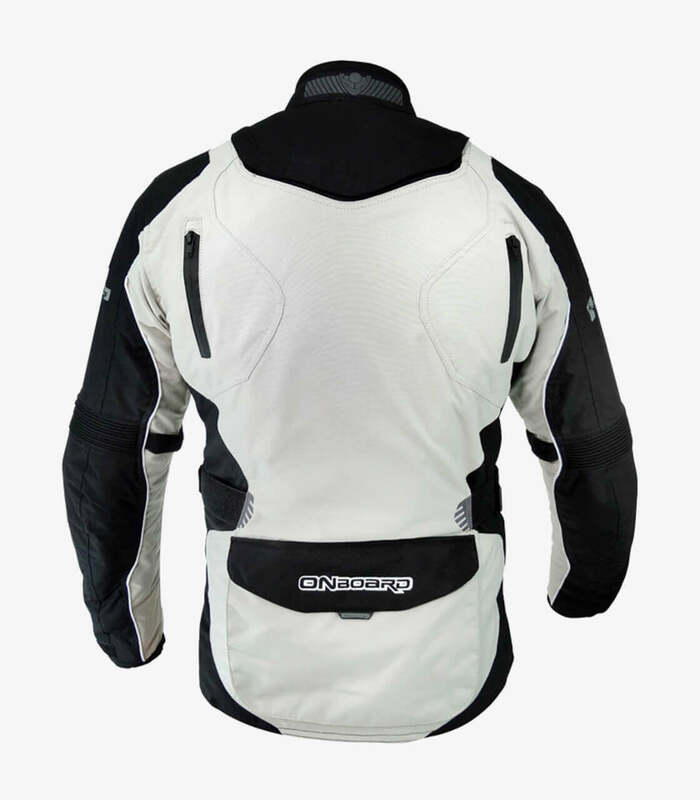 It contains shoulders, elbows and back protection compiling with the homologation CE-EN1621 that can be removed. It includes the system V360 with reflective areas in material 3M that reflects the headlights from cars and motorbikes in all angles. Adjustable neck, wrists and long velcro adjustments on the waist and arms. It includes 6 exterior pockets (4 front, 1 on the left arm and 1 large on the back) and 1 inner pocket. It features a zipper to tie together the jacket and the biker pants.